Palliative Care for All Conference, 2012, Dr. Jo Hockley audio interview. Audio recording of Dr. Jo Hockley, a nurse consultant in St. Chirstophers hospice in London, who set up the Care Home Project and research Team. 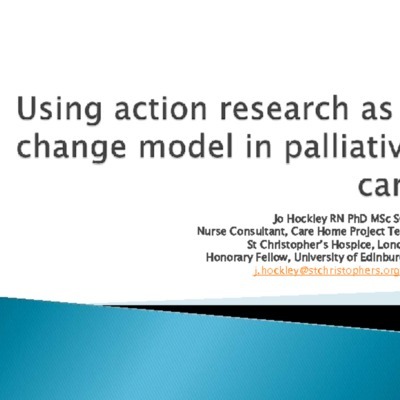 This interview is concerned with using action research as a change model in palliative care.